Scolabrush to colour, printed a picture I took this morning onto it in black and then machine stitch. Once happy with the stitching heated and stitched onto Eco felt. Scolabrush used to colour the Zeelon then petal shapes machined together and heated. Sewn onto petal shaped man made felt and heated again. For the last three days we have been at Sandringham. Although the weather was cold and yesterday very wet a great time was had. Lots of interest in the workshops we hold at Eau Brink Studio and many customers discussed which Christmas stocking they liked the best. the Powertex glasses were very popular along with the cards and bees wax candles. We thank all our customers for their support and welcome all new customers to the studio for the workshops. Needing all the help I can get for the weekend John has come into the studio to start the candle making. This is a new workshop starting in the new year. First one is on Tuesday 10th January from 18.30 till 21.30 and then again on Saturday 21st January from 10.00 till 13.00. Call 01553 762115 for further information. Powertex is a great product which can be used for many things including decorating recycled notebook covers. Well I have frantically making items, with the help of a lovely neighbour, for the Sandringham Show this weekend. There are loads of lovely stockings, Powertex items, notebooks and sketchbooks, a few tree ornaments and of course information on the next years workshops. 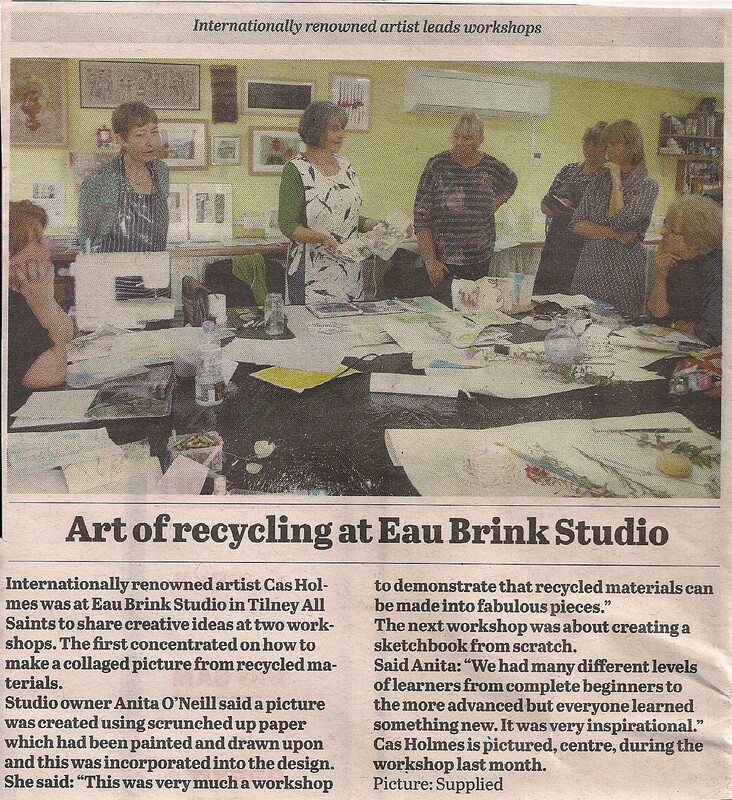 Eau Brink Studio is taking part in the Open Studios event from the 27th May to the 11th June. Whilst you visit subscribe to my email list for a chance to win a £15.00 voucher that will be valid for 1 year. 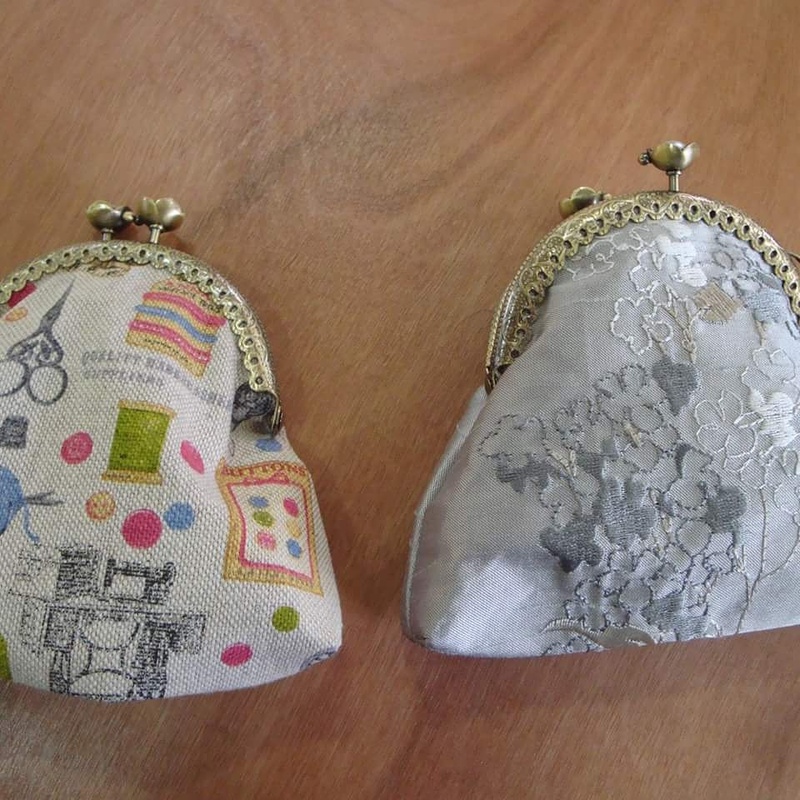 Little Purse – coins or sewing kit? What would you put in yours? coins or a travel sewing kit? Machine bobbins fit in here as well as hand sewing kits. Just perfect for when you are going to a workshop. I will be at the fair and hope to see you there.